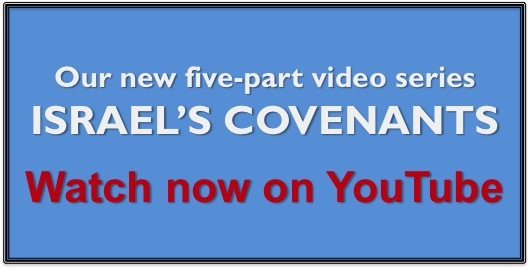 Many are astonished to learn that God did not set the nation Israel aside at Calvary’s cross. Although she deliberately executed His beloved Son, He extended to Israel a renewed opportunity of repentance in early Acts. He poured out His Holy Spirit on her believing remnant (Acts chapter 2). Those believers preached to unsaved Israel to repent and be water baptized in the name of Jesus Christ (verse 38). Divine wrath had not yet been poured out. Verse 17 is highly notable. Indeed, Father God has honored His Son’s request in Luke 23:34. He has demoted the indictment of Israel from murder to manslaughter. They were spiritually ignorant, blinded; hence, they put Him to death. Premeditated killing (murder), according to the Mosaic Law, is punishable by death. Israel deserves death (destruction)! Thankfully, though, God took advantage of a loophole in the Law!! As a “manslayer unaware,” Israel may flee to “the cities of the refuge.” To where should she run? She must abscond by faith to the Little Flock, for the avenger of blood is impending….